One of the most closely watched copyright cases in the legal and contemporary art worlds was settled last week. 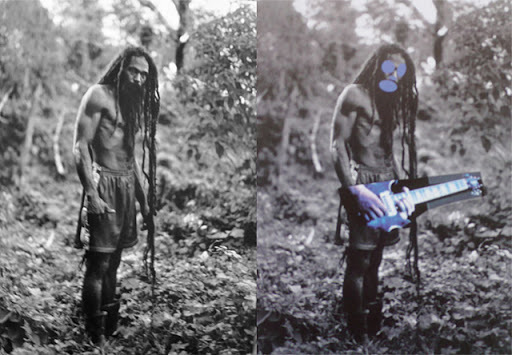 On Thursday, April 25, the United States Court of Appeals for the Second Circuit overturned the 2011 District Court decision, holding that contemporary artist Richard Prince‘s appropriation of 30 photographs from Patrick Cariou‘s book “Yes Rasta” for his own “Canal Zone” series was protected under the fair use doctrine. The controversial case arose in 2008, when Cariou sued Prince, the Gagosian Gallery (which exhibited his works), and Rizzoli books (publisher of the exhibition catalogue) for copyright infringement. For his “Canal Zone” series, Prince took photographs from “Yes Rasta,” Cariou’s photographic book about Rastafarian culture, and added other elements, such as painting gas masks, guitars, oversized hands, and geometrical shapes over the original works. Prince did not seek the photographer’s permission, and his show at the Gagosian Gallery generated over $10 million in sales. In defense of his work, Prince argued that his work falls within the Copyright Act’s codified defense to infringement–fair use–which permits some borrowing of an original work for purposes such as commentary, criticism, news reporting, scholarship, or to create works that are “transformative.” A finding of fair use is a close, fact-specific inquiry that considers four factors, including the purpose and character of the use, the nature of the copyrighted work, the amount and sustainability of the portion taken, and the effect of the use on the potential market. The proper applicability of the fair use doctrine has been fiercely debated in the legal and art worlds alike, particularly in how to properly determine whether a work is “transformative.” It is an especially fuzzy line in appropriation art, which is typically defined by an artist’s use or borrowing of another’s original work. Many were surprised by the decision of District Court Judge Deborah A. Batts, which came out in 2011. She stated that in order for fair use to have applied in this case, Prince’s work would have had to “in some way comment on, relate to the historical context of, or critically refer back to the original work.” Judge Batts gave heavy weight to Prince’s statements in relation to his work, concluding that because Prince specifically stated that he did not intend one particular message with “Canal Zone,” his works could not be transformative. In a particularly harsh remedy, she also gave Cariou the right to destroy the “Canal Zone” works that had not yet been purchased. Prince had appealed the decision, and the outcome has been anxiously awaited by those in the art world and intellectual property community for months. The Second Circuit ruled that Judge Batts’s interpretation was based on an incorrect understanding of the fair use doctrine. The court stated that “the law does not require that a secondary use comment on the original artist or work, or popular culture,” but rather that the proper test to determine the applicability of fair use is whether a reasonable observer would find the work transformative after a side-by-side comparison. The court stated that “what is critical is how the work in question appears to the reasonable observer, not simply what an artist might say about a particular piece or body of work.” Significantly, the Court stated that a work could be transformative, without intending specifically to comment on Cariou’s work or on culture in general. The Court also criticized the district court’s permanent injunction, which permitted Cariou to destroy Prince’s works as “improper and against the public interest.” The opinion may be read here. Although the decision may be characterized as a victory for Prince, the Court did remand the case to the district court for further analysis of five of Prince’s paintings, stating that Prince’s use was “similar in key aesthetic ways” in these paintings and that his changes were too minimal. Though it may not have provided much specific guidance, the opinion did reiterate the principle that an artist need not have intended or even to have been aware of his own intentions when creating work for it to be transformative. This basic principle is significant and instructive, as it conclusively removes the artist’s own intentions from the fair use analysis- at least in the Second Circuit. What courts will specifically consider when determining how a “reasonable observer” would evaluate the transformativeness of a potentially infringing work remains to be fleshed out in further decisions. The debate in art and legal circles will continue. This issue, unlike the case, is far from settled.